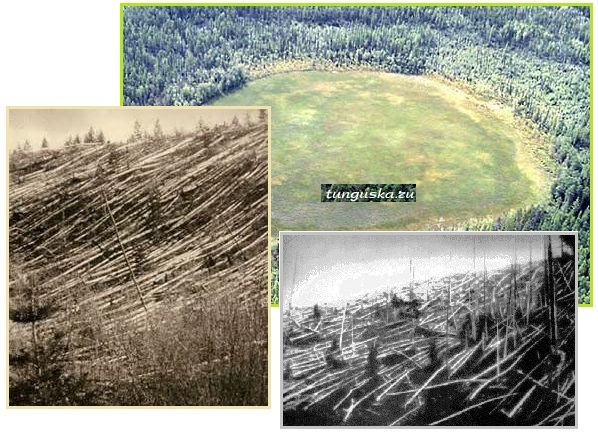 In 1908 an explosion in Tunguska blew trees outward from the epicenter and was seen and felt from miles away. Since a flash of light had been seen coming down to Earth, it was assumed on its face to have been a meteor explosion. But many witnesses saw no flash or an explosion and only felt tremors and heard noises like shot guns. These discrepancies were ignored. The Tunguska event was a large explosion, caused by an asteroid or comet, which occurred near the Podkamennaya Tunguska River. The explosion occurred at an altitude of 5–10 kilometres (3–6 mi). It is estimated that the Tunguska explosion knocked down some 80 million trees over an area of 2,150 square kilometres (830 sq mi), and that the shock wave from the blast would have measured 5.0 on the Richter scale. The majority of witnesses reported only the sounds and the tremors, and did not report seeing the explosion. Eyewitness accounts vary regarding the sequence and duration of the events. In the words of Andrei Ol'khovatov from Moscow, Russia in 1998 and per an article in Space Daily in 2002, Russian scientists reject the notion of a meteor strike. There is no evidence of a meteor strike at Tunguska. None. Searching the crater and beneath the path of the supposedly burning meteor, none of the typical evidence of a meteor, vaporized or intact, is found. Where is enormous quantity of extraterrestrial substance, which the hypothetical Tunguska body was to loose before its explosion? Indeed, according to practically all calculations, the hypothetical Tunguska spacebody lost a significant (probably even dominated) portion of its mass before it reached the explosion altitude of 5-8 km. In other words, at least, a hundred thousands tons of extraterrestrial substance (from large fragments to dust) must be deposited along the lower part of Tunguska spacebody trajectory. Despite many years of careful search nothing was discovered. By the way, a couple years ago application of just one of the many Tunguska substance search's methods allowed easily find small fragments of a meteorite (with initial mass of several tons, probably), which is integrated over another place in Siberia in 1904. But the substance problem is just one of many other unresolved Tunguska mysteries. A geologist from Novosibirsk has set up a new hypothesis of the explosion in Podkamennaya Tunguska, which took place on June 30, 1908. It was not a meteorite that caused such extensive destructions and conflagration, but a fluid jet, which had shot up under high pressure from the interior of the Earth. The event which occurred almost a hundred years ago in Podkamennaya Tunguska has drawn scientists' attention again. What actually exploded at that time in the remote taiga, the power of explosion being equal to the 50-megaton H-bomb? The hypothesis that it was a meteorite or any other extraterrestrial object has not quite satisfied inquisitive minds, since too many puzzles remain unsolved. A geologist Vladimir Epifanov, Siberian Research Institute of Geology, Geophysics and Mineral, reported to the recent Conference "Degasification of the Earthe" (Moscow) that the reason for the explosion could have been a powerful fluid jet suddenly shot up from the depth of the planet. Methane is as volatile as natural gas. Just as explosive and causing explosions in mines and in fact the greatest danger for miners, as photos of methane explosions show. It is the reason land fills are vented. It is the reason that adolescents get a snicker out of putting a lit match to their farts. 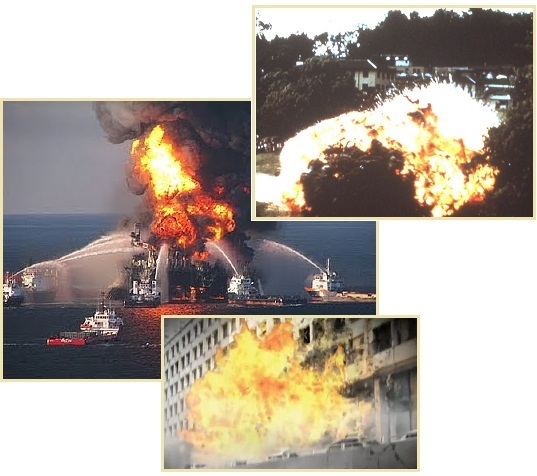 Methane burns, explosively, as these photos show. An earthquake had been recorded just prior to the explosion, but the possibility of a methane release from under the frozen tundra was discarded as, per the Zetas, this hints at crustal shifts in the past, which frightens many. Thus they still cling today to the meteor theory. ZetaTalk Explanation 2/15/1996: A source of endless speculation is the wide area of flattened trees, spread outward in a circle, the result of an apparent explosion that occurred just after the turn of the century in Siberia. No witnesses, radioactivity, or meteor remains seem to exist as pieces toward solving this puzzle. Nuclear power was not yet in mankind's hands. What occurred? The Tunguska trees are devastated by an explosion that occurred close to the ground, as evidenced by the butterfly pattern of trees knocked sideways. It was a huge cloud of well mixed methane and air, equivalent to all the natural gas being piped about in the US at any given time. The explanation that a meteor exploded above ground is an attempt by the establishment to avoid the methane gas, and thus the pole shift and shifting crust issue. Comets and meteors do not explode when encountering Earth’s atmosphere. This is not what your history or science presents to you! If they are monstrous, they plunge to Earth and leave a crater such as the Gulf of Mexico off Yucatan. If they are tiny, they burn up in the atmosphere as shooting stars. If they are midsized, they burn on their periphery but land to be rocks picked up and examined by your scientists. The lack of meteor particles or dust proves that it was not an exploding meteor. Methane, once burned or disbursed into the air, leaves no trace. Meteors leave traces, methane does not. Now there has been another methane explosion, at the same latitude as Tunguska, in the same Siberian region - frozen tundra and permafrost. 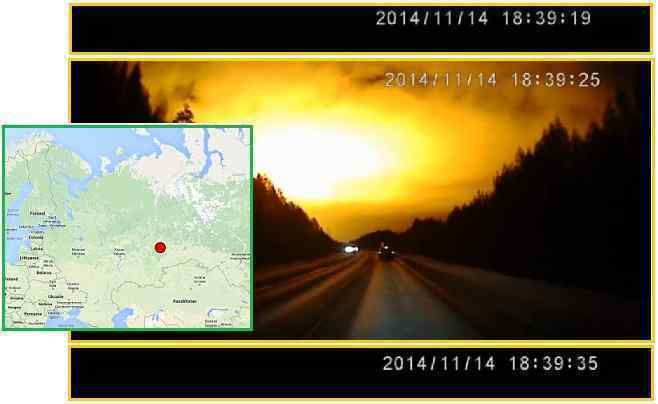 Note the similar locations between the Tunguska explosion and the explosion caught on video cam by traveling motorists at Yekaterinburg, Russia, just east of the Ural mountains. Once again, it is being touted as anything but methane gas, as the establishment does not want the populace to panic. What was the Mysterious Flash that Lit Up Russian Sky for 11 Seconds, 'Turning Night into Day'? A huge flash in the night sky over Russia is raising suspicions after the authorities refuse to comment on its cause. The eruption lit up the sky near Yekaterinburg for 11 seconds in what appeared to a major aerial explosion. The strange light was not accompanied by any sound, according to eyewitnesses, although Russian authorities are refusing to comment on the event. Theories for the explosion included a missile or an object from space. ZetaTalk Response 11/22/2014: Speculation on the cause of this event is unlikely to be resolved, as the establishment does not want the public to focus on an unstable footing. The Eurasian Plate is solid, though under stretch stress from one end to the other, from Europe to the shores of China. We have predicted a new seaway ripping up toward the Ural Mountains, though this rip will not occur until the hour of the Pole Shift. The seaway will rip along the western border of Pakistan and Afghanistan, and aim toward the low lands just to the east of the Ural Mountains. This region has ripped before, as the geology shows. What happens when long frozen land, formerly tropical so that trapped vegetation has evolved into methane gas, gets stretched? Methane releases, and being lighter than air, rises. A spark of any kind will light this highly flammable gas. Air layers passing over one another are sufficient to spark this, as this is what causes lightning to spark. A slight difference in the electrical charge is all that is required. 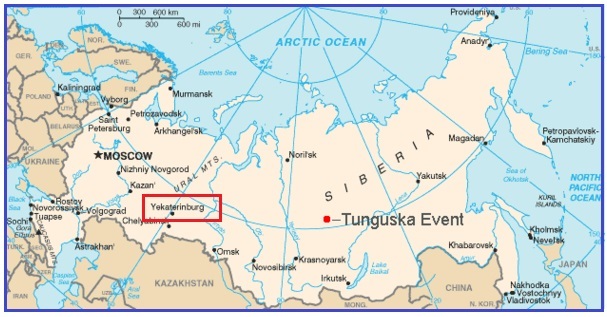 We have from the start of ZetaTalk stated that Tunguska was a methane explosion, the frozen ground opened by an earthquake and the rising methane lit by lightning. The explosion traveled back along the methane path to the ground, in Tunguska, thus the basis of the myth that a meteor was the cause. Indeed, the Yekaterinburg methane explosion is right in line with the new seaway the Zetas have predicted will rip up from the Afghan/Iran border, and up toward the lands just to the east of the Ural Mountains. 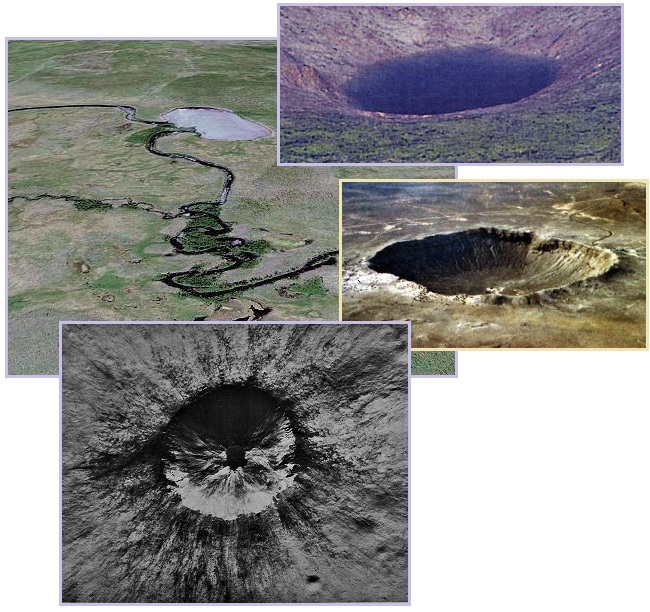 This rip is starting early, creating breaks in the permafrost crust. ZetaTalk Prediction 12/11/2007: The new Eurasian Plate seaway is anticipated to run just to the east of the Iran border, going up through western Pakistan and Afghanistan and thence round along the eastern borders of Turkmenistan and Uzbekistan where the lowlands are skirting the foothills of the Himalayas. It cannot run up through Karachi as Pakistan runs into the Himalayas and there are rock bonds that will not pull apart. Yet rip it must as the Eurasian Plate has lost any friction preventing movement where the African Plate formerly snugged up against it through the Mediterranean and down through the Red Sea. The Atlantic Rift has pulled apart, pulling the great Eurasian Plate to the west. To the east, where the Himalayas are glued to the Indo-Australian Plate and the Pacific Plate, there is glue and resistance to move. Thus, moving in the direction of least resistance, the Eurasian Plate rips through the lowlands skirting along the highlands, a stretch zone adjustment that is silent and only deadly to those directly above the point of tear. This has happened before to the great Eurasian Plate, as the lowlands through his middle attest. How extensive is the frozen tundra in Siberia? Do we have any proof that this once was a region of extensive vegetation, the fodder of methane production? Per the Zetas, the N Pole moved about, through one crustal shift after another during previous Pole Shifts. When the N Pole was centered over the N American continent, Siberia was certainly temperate. Siberia once had herds of roaming mammoth, grazing in verdant grasslands, which we know from the frozen mammoth discovered within the Arctic Circle above Siberia, as detailed in Issue 33 of this newsletter. Frozen mammoth are uncovered in the Arctic Circle, the flesh preserved, eyeballs preserved, not rotting over the millennia. The bodies have green grass and buttercups in their stomachs, vegetation that no longer grows in the Arctic Circle. If the mammoths were trapped by sudden cold, so was the vegetation now under the permafrost. The permafrost only drops down a few feet, and below that, trapped vegetation molders into methane gas. ZetaTalk Explanation 7/14/2007: Approximately 10,800 years ago the pole shift that caused the Biblical Flood occurred, moving Siberia northward and causing a massive dieoff in the mammoth population. This time frame coincided with the end of what mankind terms its last Ice Age, which was in fact just a movement of the crust which placed France under the Sun again. How could it be that Siberia hosted vast grasslands for these mammoth herbivores, while at the same latitude France was frozen! Did the Sun wink off for France, and back on for Siberia? That this obvious explanation, a crustal movement, is ignored by scientists shows how deep is the human need for denial when faced with such cataclysmic occurrences in the past. Fear blinds, causing mankind to look only at one piece of the evidence at a time, as then the conclusion is not thrown blatantly into their face. France had an Ice Age. Look at that and no further. Siberia was a grassland supporting giant herbivores at the same time. Look at that and no further. That the mammoth froze quickly, without thawing for 10,000 years, shows that their grasslands were no longer present nor did the deep freeze relent! Where such discoveries present mankind with undeniable proof that crust shifts have occurred in the past, at approximately 3,600 year intervals, this is not covered by the major media. Just so very scary, the facts, and so many clinging to denial! 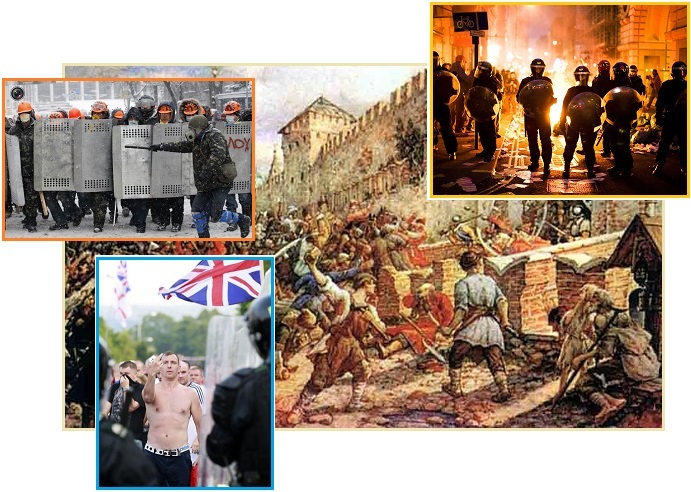 Riots have occurred throughout history, for many reasons. In 1648, the Salt Riots in Moscow against the aristocratic Russian royalty were over the price of salt. In 1905, the Hibiya riots in Tokyo were over the terms of a treaty, Japan being the loser in a war. Riots in Belfast in 2013 had a religious basis – Catholics against Protestants. Riots in Kiev in 2014 were based on an east/west division in the Ukraine, with a Russian leaning President ousted and the Crimea and eastern Ukraine voting for separation from Kiev. The Moscow uprising of 1648, sometimes known as the salt riot, started because of the government's replacement of different taxes with a universal salt tax for the purpose of replenishing the state treasury after the Time of Troubles. This drove up the price of salt, leading to violent riots in the streets of Moscow. The riot was an early challenge to the reign of Alexei I, eventually resulting in the exile of Alexei's advisor Boris Morozov. Hibiya Incendiary Incident was a major city-wide riot which erupted in Tokyo on 5 September 1905 in protest of the terms of the Treaty of Portsmouth, which ended the Russo-Japanese War of 1904-1905. Japanese territorial gains in the Liaodong Peninsula and the northern half of Sakhalin were to be returned to Russia. The crowd swelled to about 30,000 people. The crowd then turned riotous, marched towards the Imperial Palace grounds, and rampaged across the city for the next two days. The riots were reportedly provoked after British authorities ordered Orangemen to avoid the stretch of road nearest Ardoyne. The move was taken by the Orangemen as a challenge and subsequently triggered attacks on heavily armored officers and their vehicles. Thousands of anti-government demonstrators have clashed for hours with riot police in Ukraine's capital. They have further raised the stakes in the almost two-month standoff between the opposition and President Viktor Yanukovych which has seen protesters seize control of the main city square in Kiev. 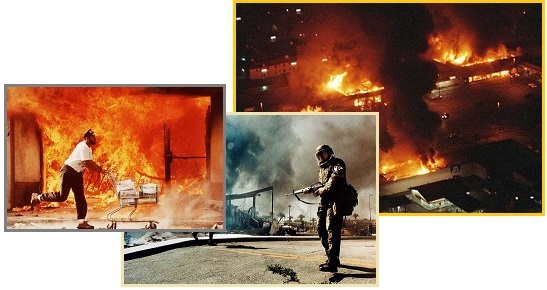 Race riots in the US are nothing new, the LA riots in 1992 sparked by the brutal beating of a black man who was on the ground and powerless at the time. This was caught on video, and despite this proof the officers were acquitted. The mostly white officers were videotaped beating Rodney King, a black man, following a high-speed police pursuit. Widespread looting, assault, arson and murder occurred during the riots, and estimates of property damage was over $1 Billion. The rioting ended after soldiers from the California Army National Guard, the 7th Infantry Division, and Marines from 1st Marine Division were called in to stop the rioting when the local police could not handle the situation. In total, 53 people were killed during the riots and over 2,000 people were injured. King was tasered, kicked in the head, beaten with PR-24 batons, then tackled and cuffed. The video showed that he was crawling on the ground during the beating and that the police made no attempt to cuff him. What makes Fergusen different? First, the evidence absolutely absolves the police officer, Wilson. Brown had a bully attitude, committing strong-arm robbery and shoving a slender clerk at the cigar store into a rack on his way out. Brown was twice as large as the clerk. This was caught on video. Second, spattered blood and DNA from Brown inside the squad and on the officer’s gun, and bruises on the officer's head and neck, show that there was a scuffle to gain control of the officer’s gun. In that strong-arm theft is a felony, and in that Brown was carrying the cigars at the time, he had motive to escape and obviously planned to do so by shooting Wilson with his own gun. Brown was 292 pounds of muscle to Wilson’s slight 210 pound frame. Third, the blood trail on the road shows that Brown charged Wilson. Fourth, the autopsy showed that Brown was shot from the front, at no time with his arms up in a surrender posture, and was indeed charging Wilson with his head down at the time of the fatal shot. Despite this, the media for months portrayed Brown as a “gentle giant” and interviewed the family in that light. Endless reports were aired in which Brown was declared shot in the back and shot with his hands up trying to surrender. 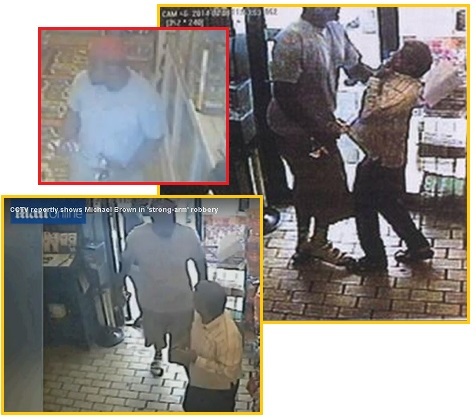 When the strong arm robbery video was played, it was decried as being prejudicial. Per the Zetas, the chances of rioting increase when there is the perception that making demands and even committing crimes will be tolerated. Did the media not encourage this attitude? Wilson was aware that Brown was wanted for stealing cigars from a convenience store minutes earlier. Brown was 6-foot-4 and 292 pounds, and Wilson said he feared for his safety — yet the cop himself is an inch taller and 210 pounds. "His right (hand) goes under his shirt in his waistband and he starts running at me," Wilson told the jurors. With the charging Brown about eight to 10 feet away from him, he aimed a final shot at his head. He said one witness described the teen's movement as "a full charge" toward the officer. The witnesses who described Brown as advancing on Wilson were African-American. Detectives reported damage to Wilson's police car. The car's driver-side window was shattered, and the driver-side mirror was bent towards the car, possibly indicating evidence of a fierce struggle between Wilson and Brown while the officer was still seated in his patrol car. Wilson sustained bruising in the face, neck, and scalp areas. A DNA analysis report revealed that Brown's DNA was found inside Wilson's car, on the officer's shirt and pants, and the interior left front door handle. Brown's blood was also found on Wilson's gun, according to the police investigation. That evidence appeared to support Wilson's claim that Brown punched the officer while Wilson was seated in his car and reached in and struggled over Wilson's gun. ZetaTalk Comment 8/13/2011: Riots have been attributed to an explosion of rage over intolerable living conditions, but more is afoot. Intolerable living conditions exist worldwide, but the populace living in some of the most repressed areas, and in the most egregious conditions, never riot. Rioting occurs because the mob anticipates succeeding, bettering themselves in some way. Rather than rioting where conditions are the worst, rioting is likely to occur where making demands and even crimes has been tolerated in the past. After being stoked by the media to anticipate that Wilson would be indicted, protesters in Fergusen were again stoked to riot by the timing of the announcement. Many noted that where the Grand Jury decision had been reached early in the day, it was not released until nightfall, when rioting was more likely to erupt under cover of dark. Then the Governor’s office restrained the National Guard, who just stood by while the rioting exploded. The National Guard answers to the Governor, and is activated by the Governor. The Mayor of Fergusen was incensed. Per the Zetas, none of this is an accident, but is a coordinated effort to incite martial law in the US, which had been an obvious agenda of the Bush administration. Not an Obama agenda, but as an agenda of the elite, who anticipate the US military can be forced to protect them and their assets. Ferguson mayor: Delayed National Guard Deployment "Deeply Concerning"
Ferguson's mayor criticized what he said was delayed National Guard deployment as violent protests broke out following the grand jury's decision not to indict Officer Darren Wilson. Ferguson Mayor James Knowles called the decision to delay the deployment "deeply concerning" after several businesses were burned down or damaged during the protests. Missouri Gov. Jay Nixon, who called the scene in Ferguson "heart-breaking" and "unacceptable," ordered more than 2,200 members of the National Guard to the area. He said 700 guardsmen were in the area, when more than a dozen buildings were set on fire and otherwise vandalized. ZetaTalk Insight 11/29/2014: If this had been a black-on-black incident, it would have been a back-page report. It became a media sensation because Missouri still has not integrated blacks into government and enforcement positions, and because there is smoldering resentment among blacks for what they view as continuing oppression and unfair treatment. In this, of course, they are correct, though feminists have a similar legitimate complaint and do not riot. The real reasons these riots have emerged is because the media fed the resentment, by constantly publishing the Brown side of the story without giving air time to the evidence. Media editors, under the direction of the elite, would like to see martial law forced within the US as early as possible. The elite frankly hope these riots spread until this is forced, so the wealthy and powerful can mandate that their neighborhoods and businesses are protected by the US military. There are conspiracy theories emerging that the whole Ferguson mess was orchestrated to increase rioting – the Grand Jury decision was released only after dark, when rioting would be more difficult to control, and the Governor’s office restrained the National Guard on the first night. Follow the trail of where these decisions were made to find the real culprits.